I trained in the gym on my own for a few years not really getting anywhere, wanting a physique like the ones I’d see in magazines. Then I found fitness121. I have now been training with Micky for about two and a half years. The first thing I said when I met him was “I want to compete”. My physique needed work but a year later I was standing on stage. 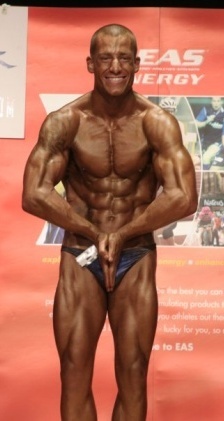 I placed first in the 2008 South East Championships in the under 21’s category for the NPA (Natural Physique Association). I then went on to compete in the NPA Mr Britain Finals where I was placed fifth in Britain, a very pleasing achievement for my first year of competition. Some competition photos can be seenhere. 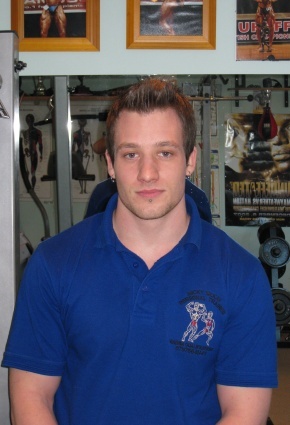 Micky really is a fantastic trainer and I know that I would not have achieved what I have, without his extensive knowledge of weights training, fitness exercise and diets. Training with Micky I have met people from all walks of life all with different goals and levels of ability. Not only does he help and support you reach your goal, but he teaches you so that you understand what you are doing and why you are doing it. If you need assistance, no matter what your level of fitness, or would like to improve your sporting performance, please don’t hesitate to contact us. If you don�t want to commit to being a member you can still use all of our facilities but you will need to have an induction session before using the facilities to ensure that Health and Safety requirements are met � you don�t want to injure yourself on your first visit and ruin all your good intentions!